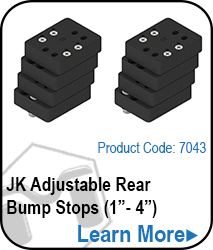 JK Wrangler, Rear Sway Bar Spacer & Link Kit 4.5"
The MetalCloak JK Sway Bar Spacer & Link Kit bolt right into the factory locations with no cutting or modification required. 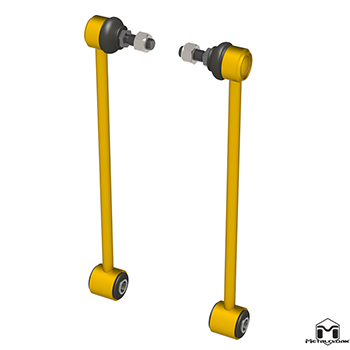 The MetalCloak JK Wrangler Rear Sway Bar Spacer Kit is designed to relocate your rear sway bar towards the rear of your Jeep to provide more clearance for the 6PakTM Shocks. 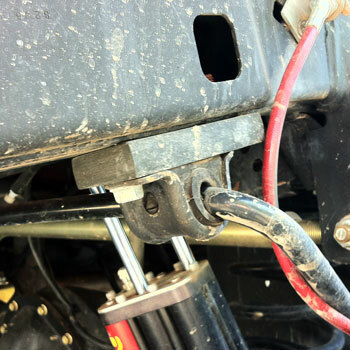 The MetalCloak JK Extended Sway Bar Links bolt into the factory locations with no cutting or modification required. 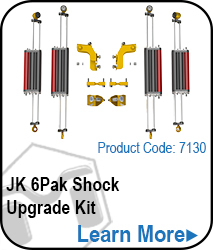 Note: For use with JK Wranglers that are equipped with 6Pak Shocks. 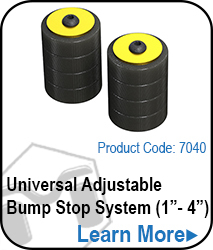 If you use traditional shocks, these spacers are not necessary. For use with MetalCloak 4.5" Lift Kits on Jeep JK Wranglers with AFTERMARKET exhaust and muffler set-ups. Do not use if you have the Stock Muffler on your JK. 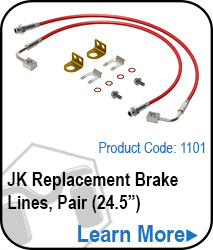 You're reviewing:JK Wrangler, Rear Sway Bar Spacer & Link Kit 4.5"